This entry was posted in General on 4th October 2014 by abadmin. 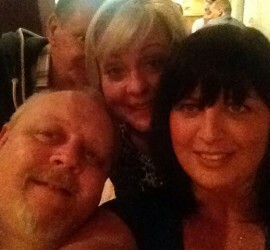 A lovely evening out with my bestest friends Nicola Earnshaw, Tracey Shannon and Mark Whiteley. A couple of beers at the Wellington followed by a gorgeous meal at Zam Zam’s Indian restaurant. Then on to more pubs for more beer . . . . and, home!